Every once in a while, we work with a speaker who is just so confident, cool, and inspiring that we feel like we’re meeting a celebrity. That’s how we feel about LimeRed Studio President and Owner, Emily Lonigro. At LimeRed, Emily designs social impact — from naming to app development, from business to education. She is a mentor for startup and established businesses, and she teaches at Columbia College Chicago. She’s an activist, business owner, advocate, mother, delegator, and activator. 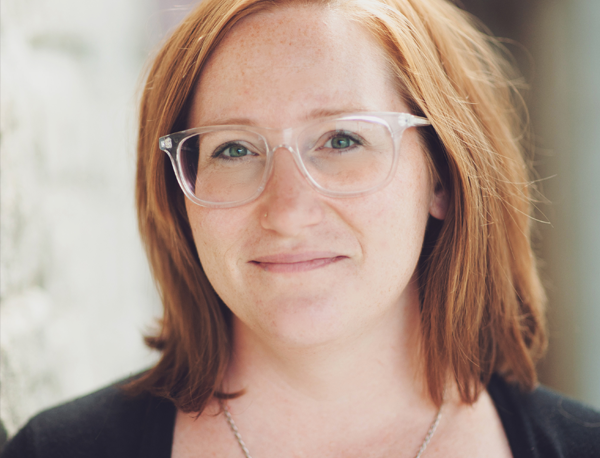 Emily’s talk, “Designing Social Impact Through Collaboration,” will teach us how to use human-centered design methods to work more effectively with other humans and create real impact in our businesses and communities. And not only is Emily giving a talk on this, we’re going to end our conference talk sessions with a collaborative exercise in which she helps us actually put these ideas into practice. In other words, we’re going to walk Emily’s talk. We asked Emily to share more about her work and what inspires her. Here’s what she had to tell us. I am obsessed with constant change. I love building and rebuilding, finding ways to make things better. The people who work with me love it, too, and we truly enjoy working together to help each other and make our community a better place for everyone. What advice do you have for someone who wants to do similar work? Find people you trust and always give back to them. Your circles of professional and personal friends will be what you need when you hit an obstacle. Ask for help. What’s the biggest lesson you’ve learned in your career? I never want to make an old white dude more money. I have to control my own day. I only want to do work that makes a difference. The organizing team! I’m a huge fan of their energy and dedication! Click here to learn more more about Emily, read about all of this year’s speakers, and then get your Intermitten 2018 ticket to hear their wisdom and interact with them in person.